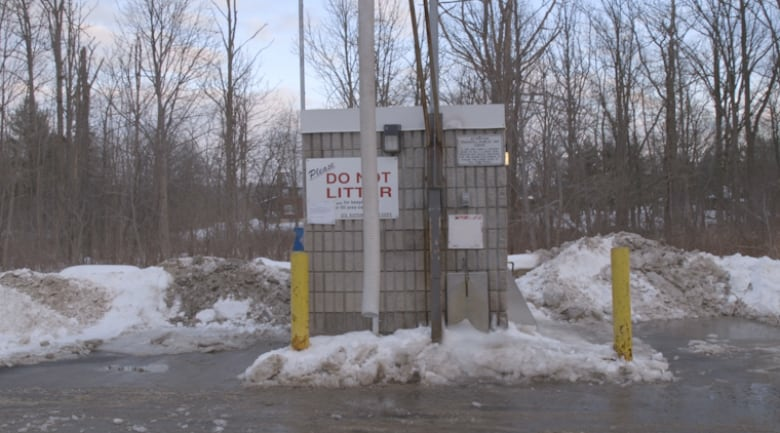 A professor is calling attention to the dismal lack of access to clean running water on the Six Nations of the Grand River reserve in Ontario — despite it being a stone's throw away from major towns and cities with fully functioning water infrastructure. For years, Dawn Martin-Hill couldn't drink the water that comes out of her tap without boiling it first. 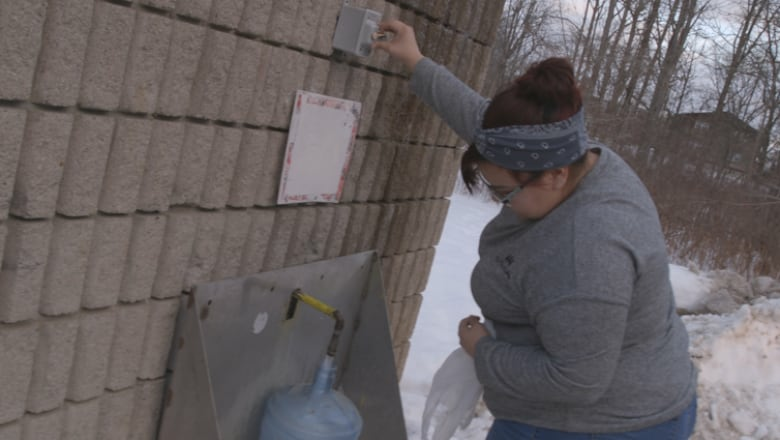 She's lived on the Six Nations of the Grand River reserve for 35 years, but was only recently connected to a water purification plant that ensured she could drink and use tap water knowing it wasn't contaminated. She's in a better situation than most in her community. Only about nine per cent of its residents have household access to clean water. Many don't even have functioning water pipes at all, forcing them to buy jugs of water and haul them to their homes. 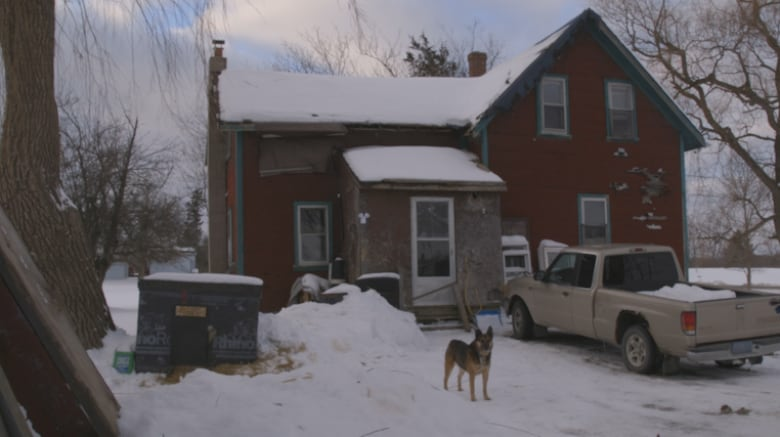 She suspects the lack of clean water may have had serious detrimental effects on the health of people who live here — including her closest family members. 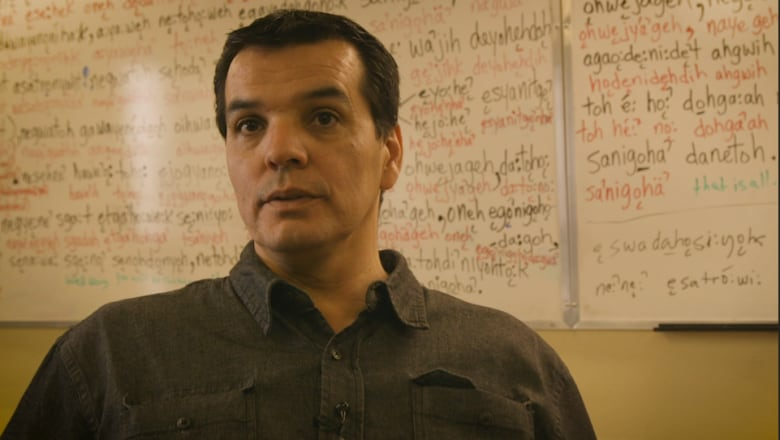 "Pretty much my entire family has been wiped out by cancer," Martin-Hill, a professor in the Indigenous Studies Program at McMaster University, told Out in the Open's Piya Chattopadhyay. She's lost her mother and several uncles to the disease, noting that none of them smoked or had "what you could call high-risk factors." Martin-Hill hopes her current research projects will shed light on why Six Nations' water situation is so dire. But she also questions why her neighbours in towns and cities only a few minutes' drive away have no such problems. Located in southern Ontario, Six Nations is only a stone's throw away from communities with clean, running water. It's a 30-minute drive away from Hamilton, and even closer to Caledonia. Six Nations has been subject to several short-term boil-water advisories, and local testing showed contaminated water in its wells. Nearly 80 First Nations communities are currently under long-term water advisories in Canada. It's not in a remote location faced with logistical problems of treating or transporting clean water to the people who live there. 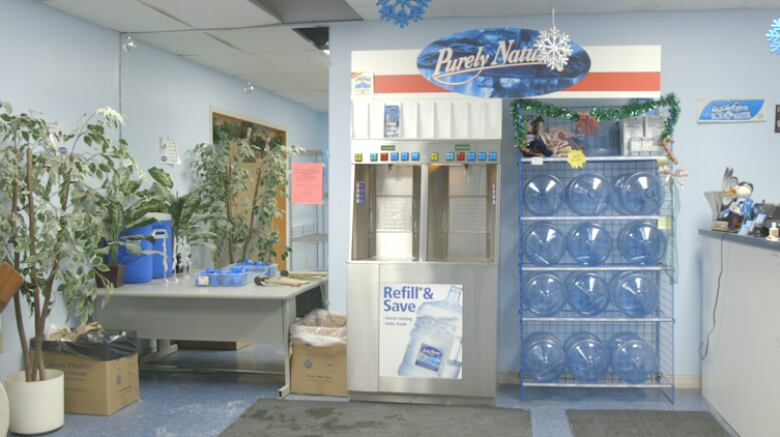 In fact, a state-of-the-art water purification facility was installed in 2013, at a cost of $41 million. However, it currently only serves about nine per cent of its roughly 13,000 residents. Despite this, it was still running at a deficit. Martin-Hill says funds to actually operate the plant and connect its services to homes slowed to a trickle after its installation. She described boiling large amounts of water for the day on the stove to use for cooking, cleaning and bathing before her home was connected to the plant. "It's like a big conundrum: Do I put conditioner in my hair today, and use up the last of this water, or am I going to suffer through it?" she said. "It's not a normal existence. And then, you know, when you just step off the reserve, everybody has running water in their schools and in their facilities." Martin-Hill can enjoy potable running water where she works in Hamilton at McMaster University, a half-hour drive from her home. She's heading a research project that aims to look at the sources of water contamination on both Six Nations and the Lubicon Cree in Alberta. The three-year project will study the health impacts of water quality on people and animals that live in both communities. In February, Indigenous Services Canada pledged additional funding to extend the plant's reach throughout the community. The $11.5 million project ($10.4 million provided directly by Indigenous Services) will extend the distribution system to two elementary schools and about 2,000 homeowners. It will also install 53 fire hydrants around the reserve. That would still serve less than half the reserve's current population. Martin-Hill is loathe to make public entreaties for more funding without providing more information and the wider context, knowing that it could play into stereotypes about Indigenous people. "The government is going to come and say, 'Well, it's going to cost X amount of dollars for that remote community for us to build the infrastructure,'" she said. "What does that make the local townspeople feel? 'I'm paying for these Indians and they're not working.' And it perpetuates this stereotype that we do nothing for ourselves and want everything done for us." People who live on a First Nations reserve don't own the land they live on outright. If you're building a house, you'll need to pay for all of the house's connecting infrastructure — including connections to hydro poles, gas lines and water pipes — yourself. "You have to pay for every single step of that. They do not provide that for us," she says, adding that the total costs for making one's house livable can reach up to $70,000. Martin-Hill sees the current situation as feeding into an overall narrative about Indigenous people, affecting their collective psyche — contributing, in its worst cases, to the disproportionate number of suicides among Indigenous youth. "The pain that they carry beyond historical trauma is the fact that they know this country simply doesn't care about them as Indigenous youth," she said. "If they did, they would have clean water." Leroy Hill, a faithkeeper and sub-chief on Six Nations, says the lack of water infrastructure has dealt damage to the community's spiritual health as well as its physical health. "These veins under the ground are just like the veins in your arm. They're very crucial to our well-being and our wellness," he said. Hill says the Six Nations' culture considers water a sacred thing to be respected. And its teachings to "use a good mind" may have helped prevent wider frustrations from boiling over. "We have laws that have been here longer than Europeans. And the laws tell us to use a good mind and try our best to strive for peace. That's from our creator," he said. "That's the only thing that keeps this country safe … because this is enough to create a revolution and bloodshed." Martin-Hill isn't sitting on her laurels, waiting for more information on her community's water problems to uncover itself. She suspects her family and the surrounding community's ailing health could be traced to the non-purified water, but isn't sure yet until her study can be completed. "I think we all know at some level that the environment has a lot to do with this. We just don't have the data," she said. "So my goal is 'Let's just … see if we can get a clearer picture of what's happening.'" Martin-Hill points to multiple cases of Indigenous communities suffering from disease and death thanks to long-neglected water quality. Each case is different. For the Lubicon Cree in Alberta, it's fracking and oil spills. For Ontario's Grassy Narrows, it's mercury. In others, it's E. coli, uranium or cancer-causing chemicals. Some studies, including a recent one based in Nova Scotia, have found that over the years, toxic dump sites were placed in closer proximity to black, Indigenous and other non-white communities. Their dangerous runoffs may have seriously impacted these communities' health over the years. "Environmental racism is alive and well in Canada and the U.S.," said Martin-Hill. "It's everybody's guess as to why does Six Nations not have good water. Why is that? It's by design. It has to be" said Hill. "In this day and age, there's no way we should be scrounging for water." This story appears in the Out in the Open episode "Neighbours."